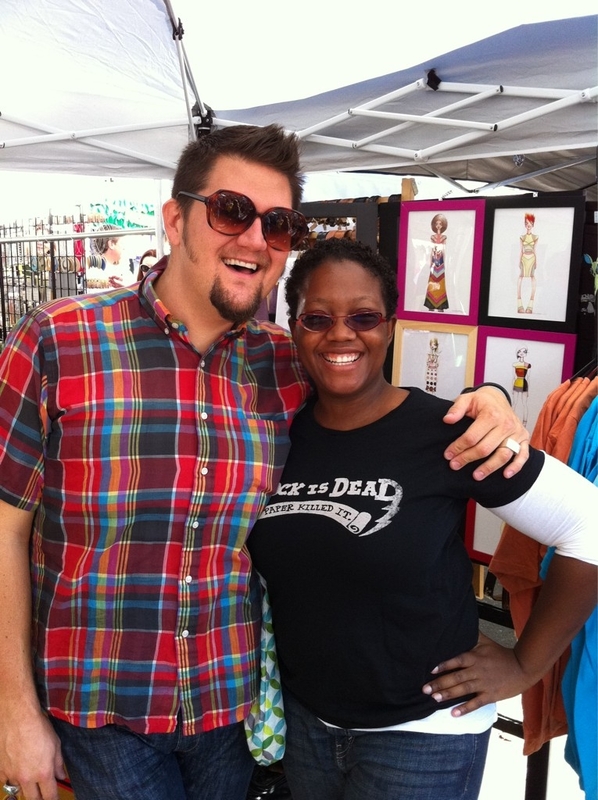 Last week I confessed–to twitter–that I had yet to attend Crafty Bastards. No real reason, I think, just no one else had ever expressed much interest and it wasn’t the kind of thing I wanted to attend solo. Well I managed to rope friends into it this past weekend and after our farmers market shopping, we sallied forth to get crafty, DC style. A while back Dave Chappelle’s Comedy Central show did the sketch, “If the Internet Was a Real Place” which I still think was one of his better ones–even if it did feature an all-too-aged Ron Jeremy. Well, Crafty Bastards is a lot like that… if you could visit Etsy in the form of a mega shopping mall, that’s pretty much how it would go down. Unfortunately, you might find that you needed these items just as much (or as little) as you do the things in your local mall–at least from my perspective as, y’know… a dude. A lot of the items seemed very traditionally female-oriented, dresses, hats, purses, jewelry, etc. Not to sound sexist*, there were some patterns of skirts and dresses that I thought were great, but I don’t think my office would be too keen on me trying to rock a vintage-cut sundress. I did ask a few seamstresses if they also made cooking aprons, but no luck. 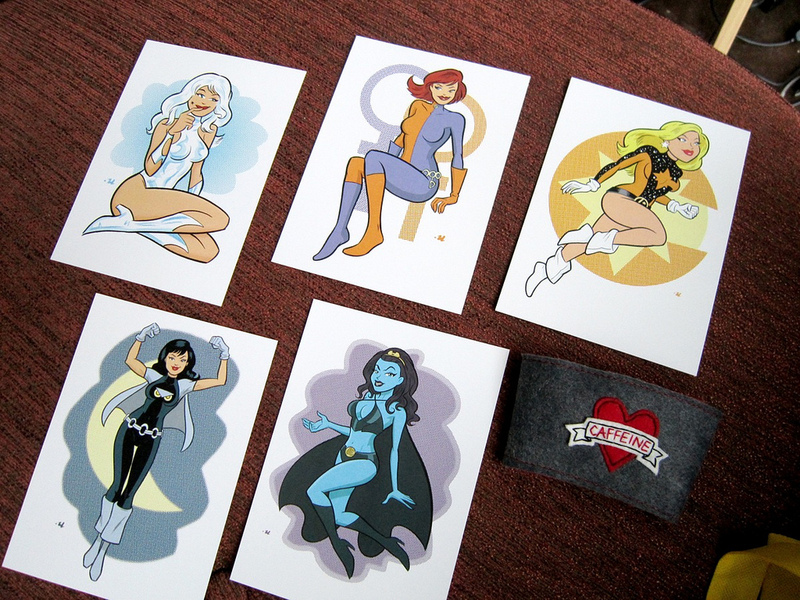 Not to say that I didn’t come away from it with some goodies of my own, but the Legion Ladies notecards by Robert Ullman were the only close-to-geeky item I spied. There were plenty of t-shirts and leather arm cuffs and pretty much anything else you might buy to deck out your burgeoning hipster, but I have to admit that I spend more of my clothes shopping budget on work-appropriate attire and when not at work, I want comfortable attire, not to feel like I have to put on a whole other look to relax and be casual. I’m also–as a friend has pointed out–cheap. Much as I appreciate the clever custom t-shirts, $20-30 for a t-shirt is just too much for me. I’m always scoping out the threadless $10 sales. I was briefly tempted by a What Would Amy Sedaris Do (WWASD)? shirt, but I resisted. 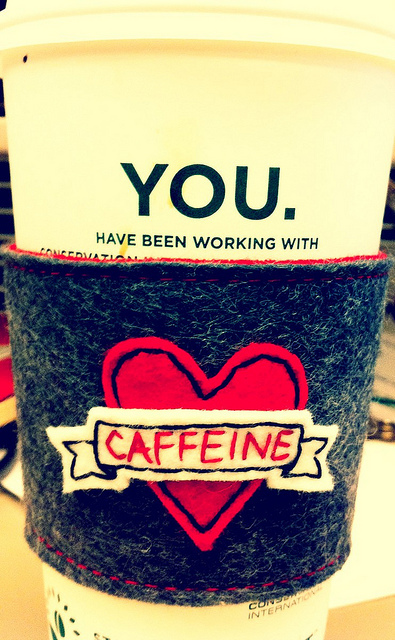 Still, I’m not completely immune to impulse buys and I’m loving my hand-stitched felt coffee cup sleeve from 60bugs! ** I was also tempted by some of the letterpress posters, re-purposed blank books and one really great knitting booth, but overall there weren’t tons of things that appealed to me. Or at least not enough that I wanted to buy them on the spot. I did take a LOT of business cards, however. I’m betting moo saw an upswing in business just prior to this last weekend. With a move coming up, I was reminded that anything I buy now, I’m going to have to move. So even weighing that against the fact that many of these items will vanish forever once they’re sold… having to pack and move more stuff won out. If there’s one thing I’ll take away from this past Saturday it’s that I’m probably going to pay more attention to Etsy in future. I’d mostly written it off due to the site Regretsy–my bad. I just have to keep an eye out for those vendors who have an eye towards vintage and mid-century modern design. The Swanktuary needs to be properly appointed, after all! My main complaint is that they need a bigger space, it was like going to a real mall but at Christmastime. Lots of squeezing around people, dogs underfoot, people stopping and gawking, etc. I was a bit relieved when we decided to take our leave and go for brunch and beignets at Bardia’s New Orleans Cafe. I’d check it out again next year, but I’ll be prepared and go earlier before it gets too sun-warmed and crowded. * Seriously, preconceived stereotypical gender norms are one of my biggest pet peeves, but a dress is still a dress. ** Let’s just hope I don’t forget myself and toss it out with the cup. † While I do try not to be too snarky about reality tv, I find it amusing that the answer to “Where are they now?” for Project Runway winner Jay McCarroll is: Crafty Bastards. A really great knitting booth? Do you want to learn to knit? Or are you still firmly in the, “I don’t want to knit things, I want things knit for me” camp? I don’t ever mind something knitted for me, but the booth/store I was tempted by was Knit Outta The Box who had all-in-one kits and the buttonhole scarf was very alluring. They’re based in DC, so I might buy a kit and give it a try. Even though as a scruffy man, scarves give me pause, it looked like it might be fun. @mazzie I tried to get him to get a kit (even tempted him with scones and muffins) but he was firmly on the fence. I think we need to do a knitervention!